The Jackson State University Police Department was organized under legislative authority granted by Senate Bill No. 1710, approved 1962. The Department's powers and responsibilities are described in the Higher Education Laws of the State of Mississippi. 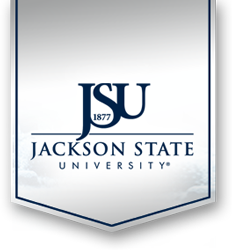 The JSU Police Department is located on the campus of Jackson State University behind the JSU Student Center. We are open 24 hours a day, 365 days a year. The number for the department is 601-979-2580. The JSU Police Department is staffed 24 hours a day, seven days a week. Police officers are certified and receive their training through the Jackson Police Training Academy, and the Mississippi Law Enforcement Training Academy. Police officers receive in-service training throughout the calendar year. Additional on and off-site training is conducted by the department in conjunction with other law enforcement agencies. The Police Department has several certified instructors for training on various law enforcement issues. The department is currently staffed with 63 employees, which includes (21) certified police officers and (11) security officers. A contract security company is also utilized to assist the department with staffing needs. The department's rank structure includes the Chief of Police, Assistant Chief of Police, Deputy Chief, Operations Captain, Administrative Captain, (1) Lieutenant, and (6) Sergeants. Support staff includes a Risk Manager, Emergency Manager, (2) System Information Specialists, a Crime Prevention Officer, (3) investigators, (3) state certified dispatchers, and an Office Manager. Additional support staff assist with record keeping, evidence control, crime prevention, campus events, criminal investigations, and handling matters with parking permits/decals. The department's professionally trained police and security officers are dedicated to providing customer friendly services to the campus community. Officers patrol the campus on by foot, bicycles, and in vehicles. Several officers and supervisors are on duty 24 hours a day. The Communications Unit is staffed with well trained and certified dispatchers who answer calls for service. Dispatchers are responsible for dispatching officers and other emergency personnel to incidents.